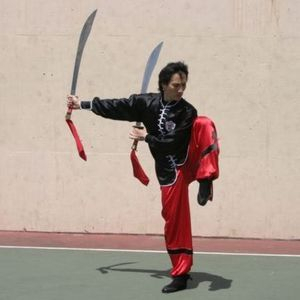 "Sifu Troy Dunwood is a top kung fu man And he is an excellent teacher. In all the years I have known him, I have found his character to be upright and correct. I heartily endorse Sifu Troy Dunwood, both as a teacher and as a good person. Master Rick "Bucky" Wing, Wong Jack Man Northern Shaolin. "The Ultimate Kung Fu Learning Experience"